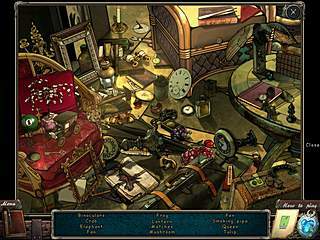 Mystery of Mortlake Mansion is one of the best titles in casual games lately. This game is presented to us this Christmas season by Stella Games and Playrix. The game has a little bit of everything you would expect from the genre of hidden object/adventure games. But you couldn't know that everyone who enters the mansion get trapped too. Having all of the ingredients is not enough to get a great game. It is pretty important how you mix all of that together. And Mystery of Mortlake Mansion does it in a very awesome way. The story allows you to choose if you want to be a male or female character. Then you learn that you are invited by R to a mansion. You don't know too much neither about the mansion nor who this R is at first. But then the story unfolds and you find out all of the details and what is going on. This R turned out to be a real fan of magic, and all of his life was spent on trying to find out as much as possible about his favorite magician. After all he got trapped into the Mortlake mansion and needs your help now. But you couldn't know that everyone who enters the mansion get trapped too. So the task is to get you and R out. 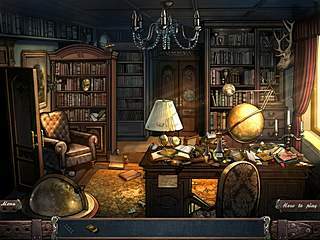 And that is done through a number of hidden object searches as well as many puzzles. So the hidden object levels wait for you in every room of the mansion, but they don't make up the whole game at all. Each one of them gives you an item that is useful for the general story and quest. Apart from the searches you will be going around the mansion in search of the inventory or hints from R's journal or interactive areas. 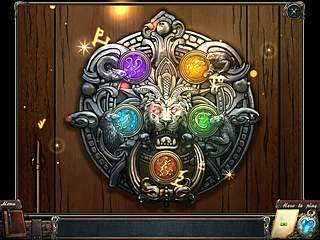 The puzzles are all familiar to those who are not new to the genre, but they are still a lot of fun. Some of them are not very challenging like match-three puzzles, and some do require some logic and reasoning. The game's graphics are just super nice and attractive and detailed with some animated parts. And I really enjoyed looking at them. Hopefully all of the production values will satisfy your requirements for a good hidden object/adventure game. This is Mystery of Mortlake Mansion review. Download this game here.